Summertime is here, and in Southern California, that means soaring temperatures. Heat waves can hit use at anytime, with the mercury climbing well above 100 degrees in the bargain, and if you have an older air conditioner, the strain of keeping it running might prove to be too much. We get a lot of repair calls this time of years and an equal number of replacement calls as well. You simply can’t go without a functioning air conditioner in this part of the world in August, but the difference in cost between a simple repair job and a flat-out replacement can be considerable. 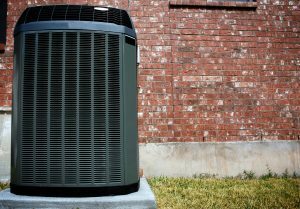 How can you tell when an older air conditioner just needs fixing and when you need to put it out to pasture in favor of a new one? Repair costs need to be evaluated on a case-by-case basis, and if the warranty has expired, repairs are apt to be more expensive than they might be before it expired. If a single repair costs more than you think the system is worth, you’re likely better off spending that money on a replacement system instead. But it needn’t be just a single repair call either. Generally speaking, if you’ve had to call for repairs more than twice in a single twelve-month period, it’s usually a sign that the air conditioner is on its last legs and needs to be replaced. Similarly, the monthly cost of running the air conditioner enters into the equation as well. Older air conditioners are less efficient than newer ones and therefore cost more to run from month to month. That can add up to quite a bit in August, and here in Southern California, high temperatures can last well into October sometimes. If your monthly budget is screaming for mercy and you’ve been considering a replacement for an inefficient unit, installing a new system now will let you take advantage of improved efficiency and cut down on your home’s operating costs for the rest of the summer. For quality air conditioning replacement and repair services in Whittier, CA, call the friendly pros at Greenleaf Heating & Cooling today! © 2017–2019 Greenleaf Heating & Cooling. All rights reserved.